Visit of President Kenneth D. Kaunda of Zambia Remarks at the Welcoming Ceremony. PRESIDENT CARTER. It's a great honor for me as President of the United States to welcome to our country a great man and a friend, Kenneth Kaunda, the President of Zambia. The last time he was here was 3 years ago. His wife, Betty, was with him. And they captured the hearts of Americans by an impromptu musical performance that was brought back to my own memory by his singing of the words of the national anthem, a few minutes ago, of his fine country. Since that visit, in 3 years, a lot has happened. Momentous changes have occurred and are presently taking place in the southern part of Africa. His neighbors are standing in admiration of his leadership and using the example set by this great man as a vision of what might be accomplished in the countries still in turmoil, where human rights have not been achieved, and where many black people are deprived of the right to vote, to participate in the shaping of their own government's policy, their own destiny, and are also deprived of the right of equality of opportunity and life. President Kaunda is a deeply religious man. 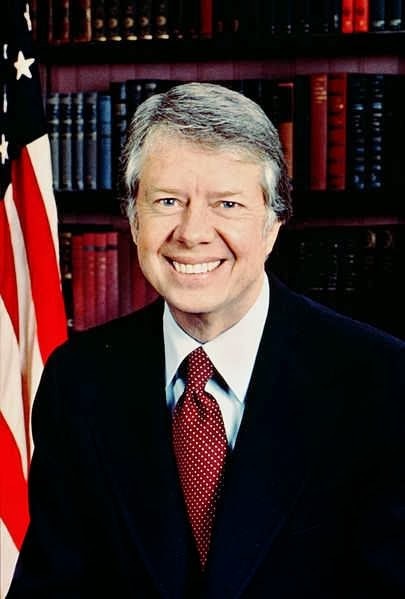 And the principles of his Christian beliefs have shaped his private and his public life. He's an idealist. He's a man of great integrity which has never been questioned. He's a man who has provided, among the frontline state leaders, a constant vision or perception of what might be in his neighboring state of Zimbabwe, or Rhodesia. He's a good partner for us. I think it's accurate to say that our hopes for a future life in Rhodesia is the same as his. We want to see a community in peace. We want to see a government that is fair, where the rights of all citizens might be protected and ensured; the right to participate in government is open to all on an equal basis; that elections might be held that are open and free, and each person has one vote. We want to see a nation where majority rule can be instituted for a change. The same thing applies to Namibia the entire southern part of Africa. I look forward to these conferences that I will have with President Kenneth Kaunda with a great deal of anticipation and pleasure. He's a man who is a senior statesman, who understands the overall principles and the details of the complicated interrelationships that exist among the tribes of southern Africa, the unique qualities of the people of each nation, and the failures that have up until this moment been experienced in bringing freedom and a life of hope to many people in his region. Zambia is a nation that has been close to us. And it's with a great deal of pleasure that I welcome to our country this statesman, and with a great deal of regret that we note that his wife, Betty, could not be with him on this visit. 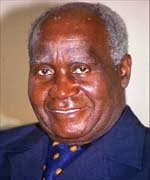 President Kaunda, on behalf of the people of our country, we welcome you as a friend. I’d like to thank you for the efforts you have put in writing this website. I am hoping to check out the same high-grade blog posts from you later on as well. In truth, your creative writing abilities has encouraged me to get my own, personal blog now!